©2002 – 2014 Take-Two interactive Software, Inc. 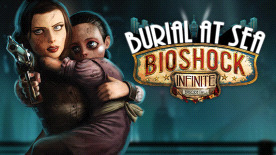 Developed by Irrational Games. BioShock, BioShock Infinite, Irrational Games, 2K Games and their respective logos are all trademarks of Take-Two Interactive Software, Inc. All rights reserved. The ratings icon is a trademark of the Entertainment Software Association. All other trademarks are property of their respective owners.